I don't know, ... fly casual. 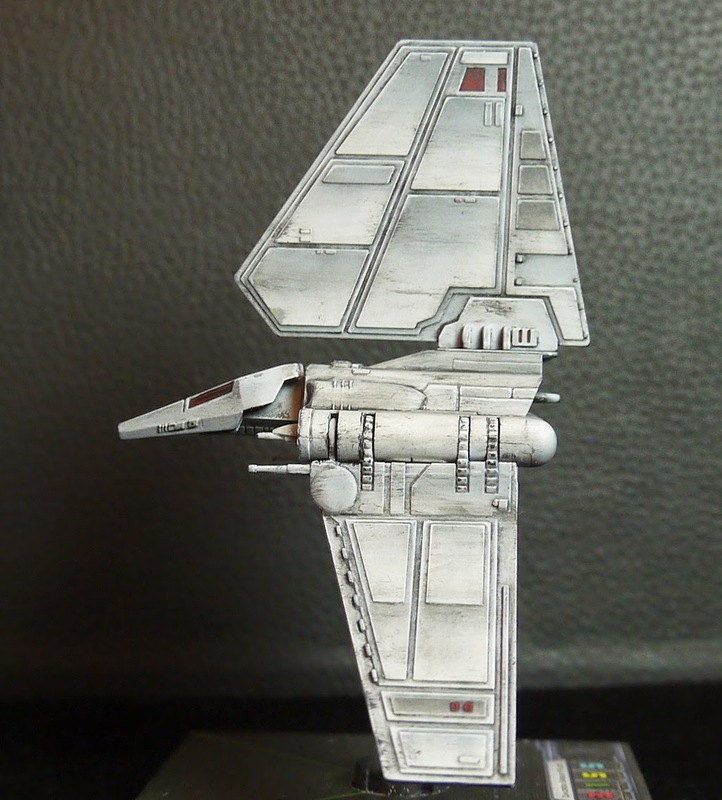 The best ride to infiltrate a heavily guarded shield generator, the lambda shuttle is one of the most iconic ships of the original trilogy. I really enjoyed painting it. 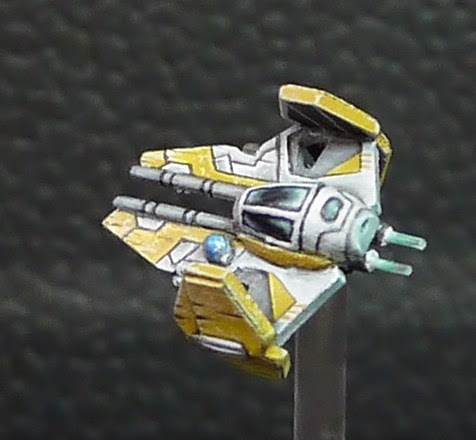 With such large surfaces compared to the other ships in the game I had to increase the color modulation on each panel to keep it interesting across the table. 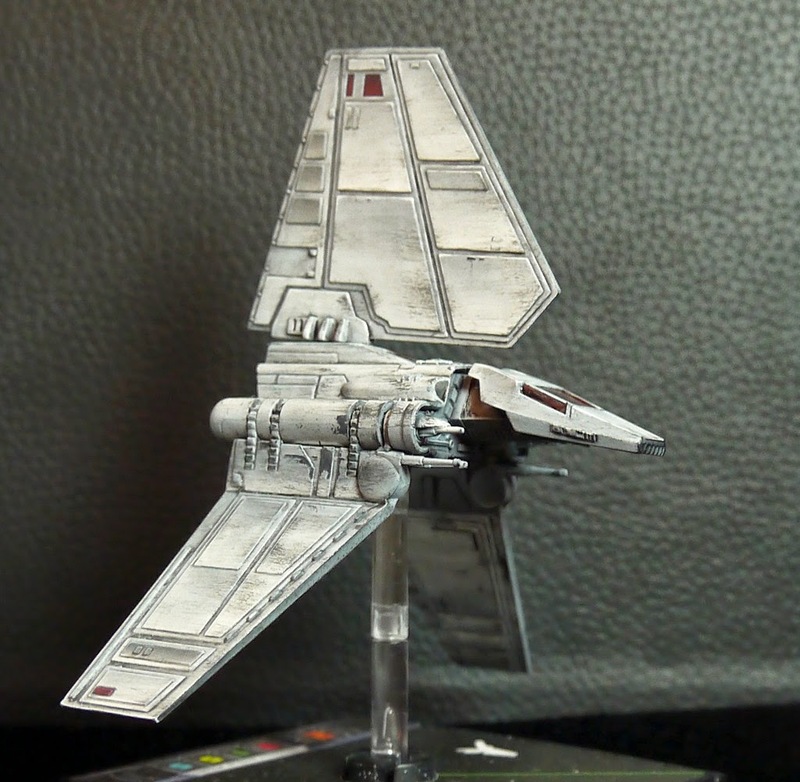 I went for a slightly non canon paint job, adding small red areas to the wings and giving a red tint to the cockpit. 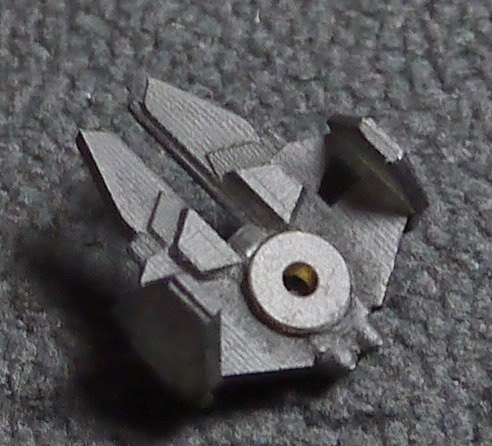 I used a new idea for the ball joint with a ring magnet and a ball magnet, expect a tutorial soon! 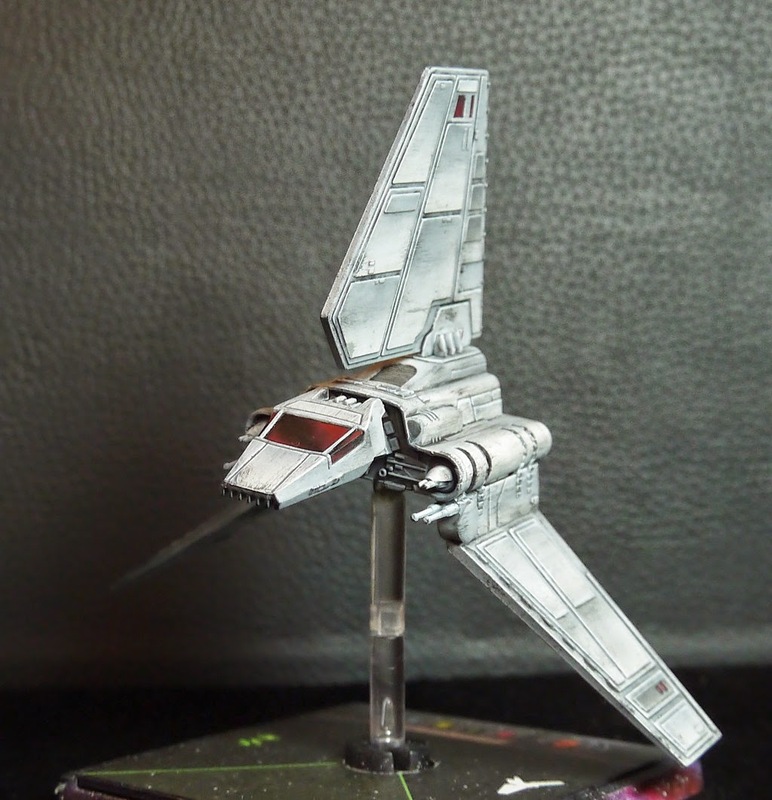 Last month I played a bit with the layout of the blog and I added a new page : http://rule37-ica.blogspot.com/p/hobby-links.html that you can access from the top toolbar with a few hobby ressources and links (tutorials and repaint blogs or threads). If you like those I can add more! 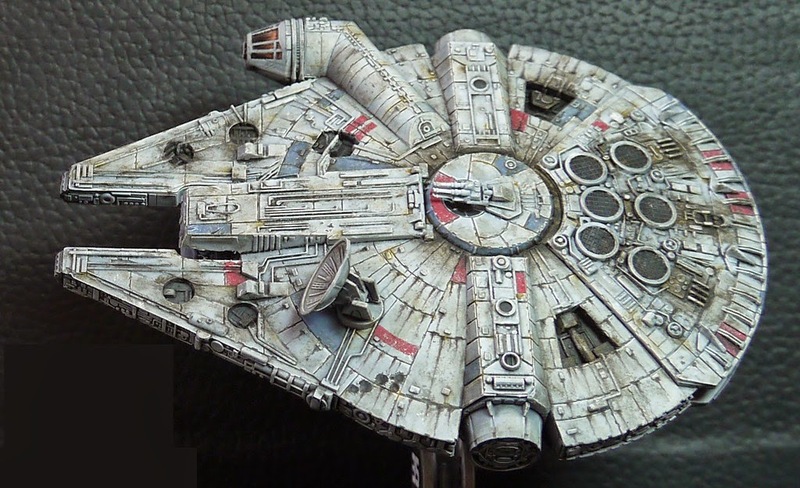 Starting from this line, I knew that to properly represent the Millenium Falcon I would need to push my weathering techniques to the max and get away from my confort zone. The first step was to block out the main colors. 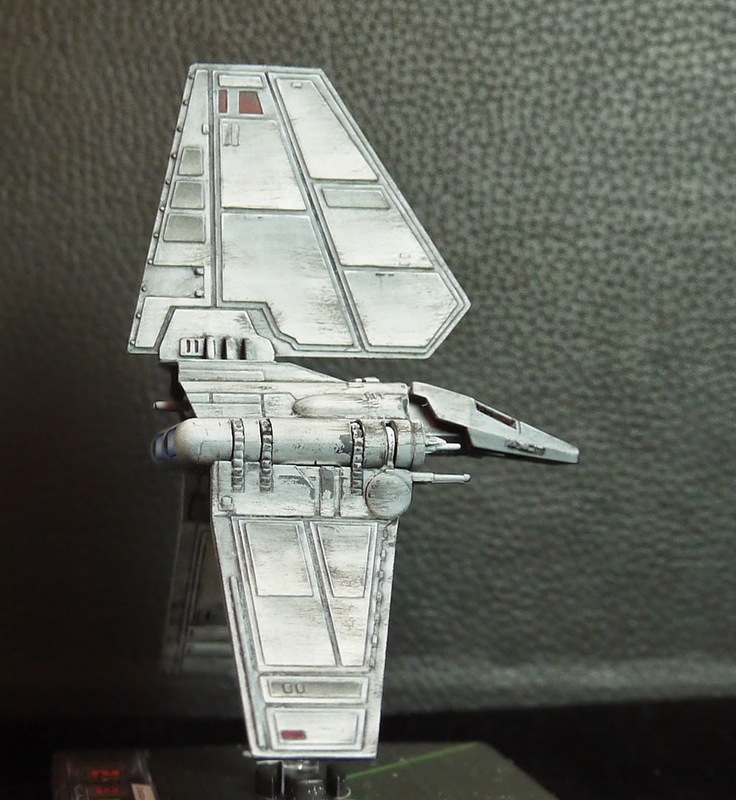 On a black undercoat, I airbrushed pro-color white at an angle to keep some shadows, insisting on raised areas. 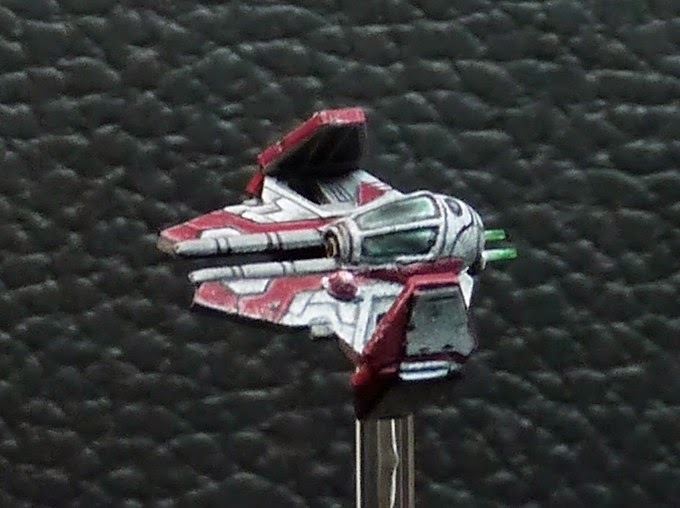 Then I took my trusty raphael 1 brush and painted the colored pannels in scab red and shadow grey. 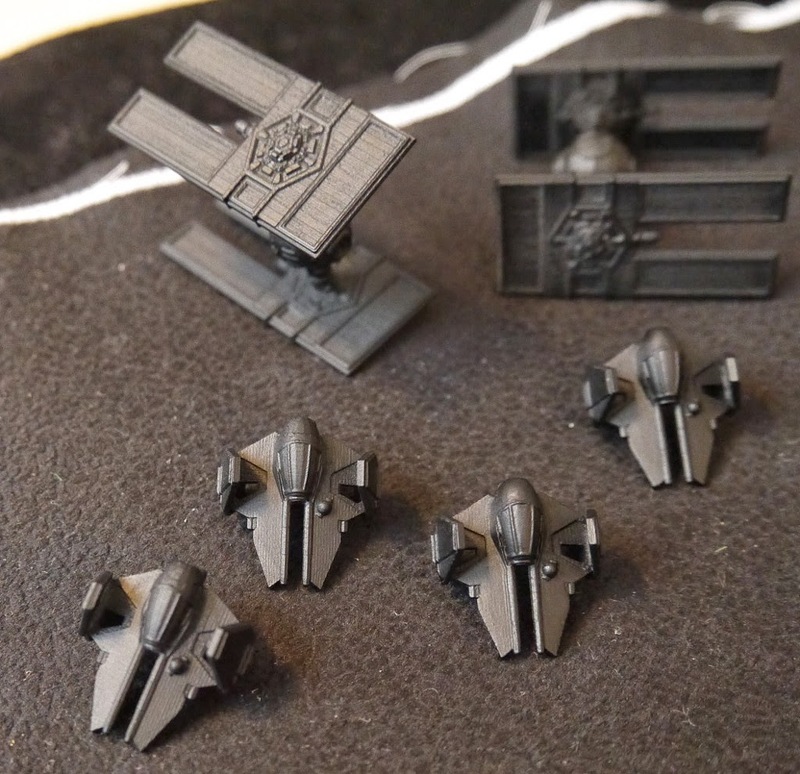 The access holes and engines received a coat of chaos black. Using Q-Tips damp with lighter fluid, I then removed the excess wash on the panels. Sorry for the lack of pictures here. 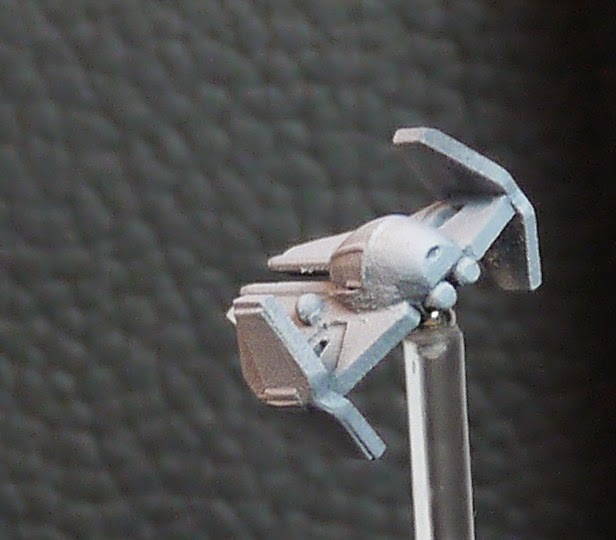 Then I threw caution out the window, and started experimenting with oils directly on the model. 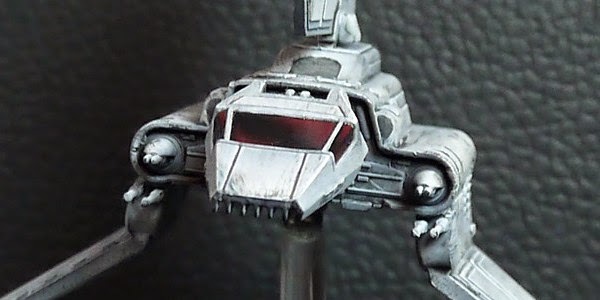 I first mixed a bit of umber and black to create a dark brown color that I applied lightly with a brush to the area close to the engines (use a special brush for that folks, you do not want to mix oil into your regular acrylic brushes!). You can be a bit sloppy here as the next step will cover mistakes. You should use a dabbing motion more than brush stroke. I did the same on the bottom edge of the open access panels. 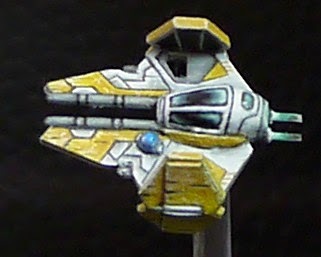 Then painted the canopy with dwarf flesh fading to black toward the front. If the rust stain is too intense, you can go over it with a lighter fluid damp q-tip to blend the edges. That's when I decided it was good enough! Letting the oils dry over night, I varnished again the model with matt varnish. 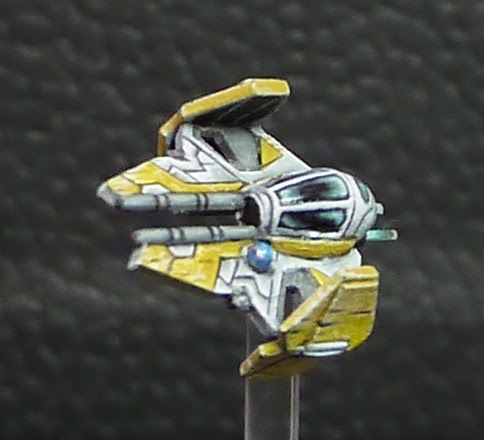 To give bit more contrast to the canopy I finished by blending fluorescent orange to the rear areas then varnished it with gloss varnish. 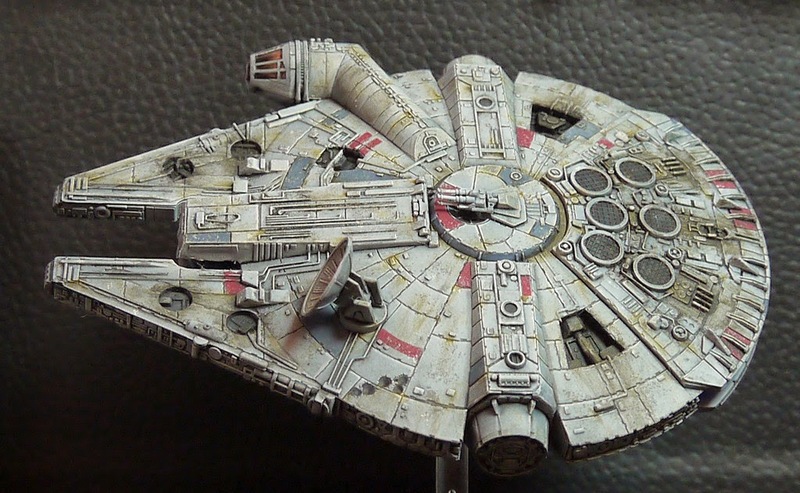 I then posted the paintjob online and got quite a few positive returns, but with several saying that the weathering was not pushed enough, that the Falcon was too clean. First using a mix of chaos black and scorched brown I added lots of water stains, starting from the top of the panels and small details and going toward the edge of the ship. Then using the previous oil technique, I added a dark stain around the central round panel. Now it really looks the part! Hope this helps, don't hesitate to ask if you have questions in the comments. 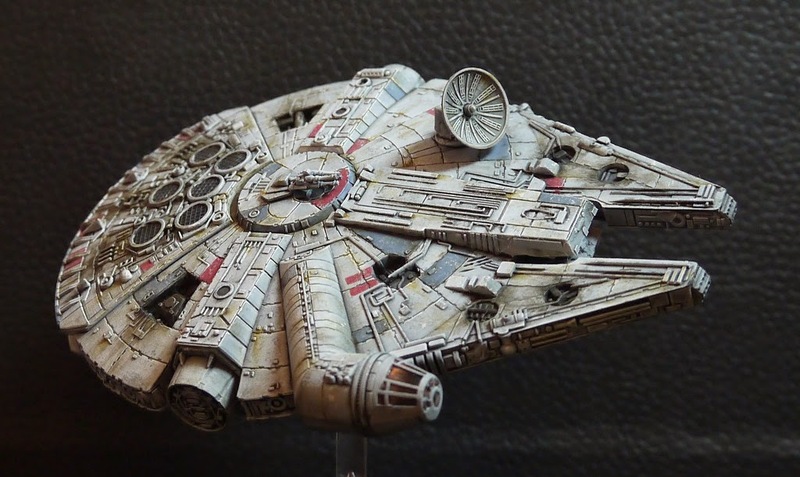 3D printing : the future of miniature gaming? 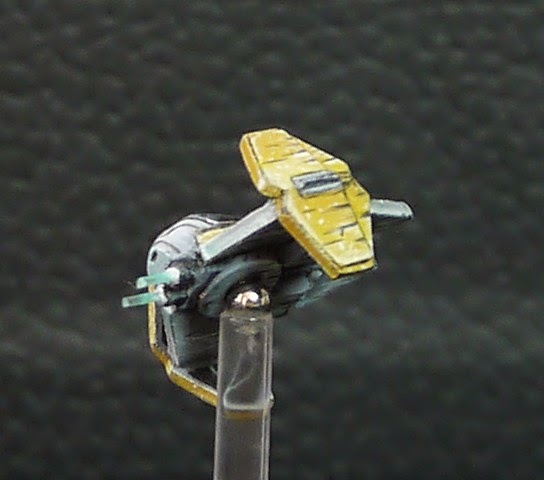 So I just finished painting 2 Jedi Interceptors at 1/270th scale from Shapeways designed by Mel_Miniatures. 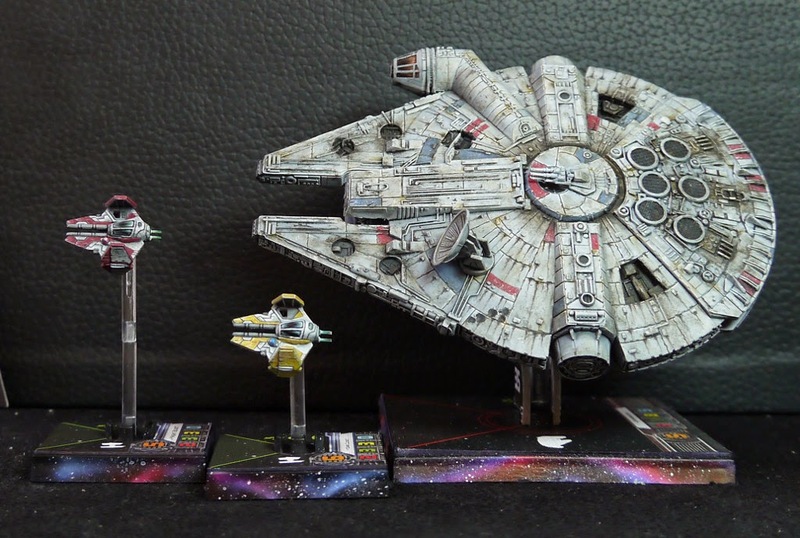 Is this the future of miniature gaming? 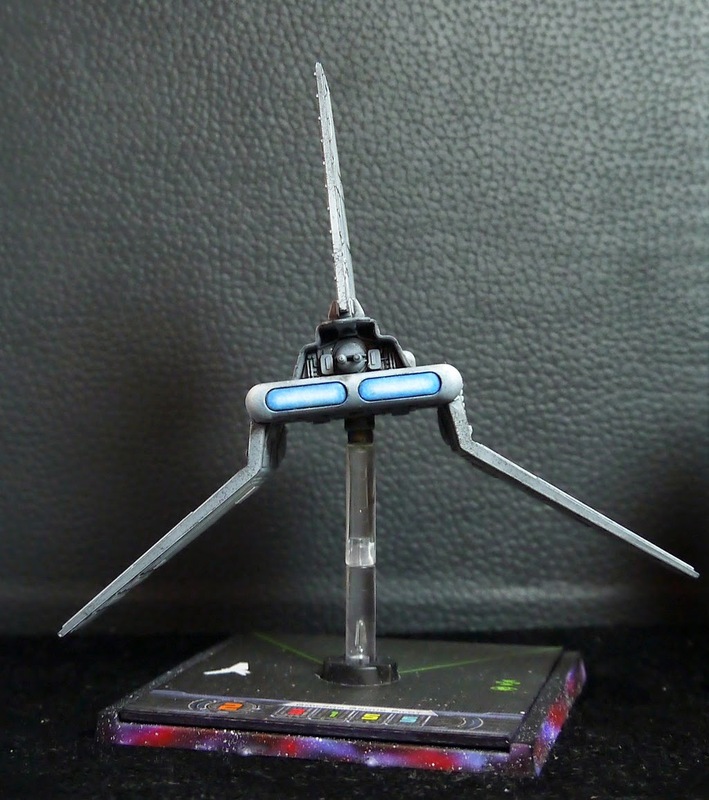 However right now it is no replacement for plastic/resin models. which is a bit steep considering the level of detail and it's only 20mm long. The 2 interceptors on the right have been cleaned before priming while the 2 on the left and the 2 Tie Droids have been primed directly. 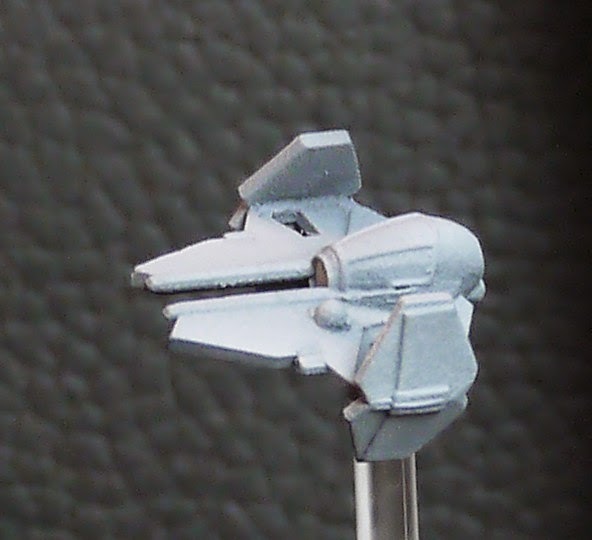 Pay attention to the small lines on the hull and the grain of the back of the cockpit. 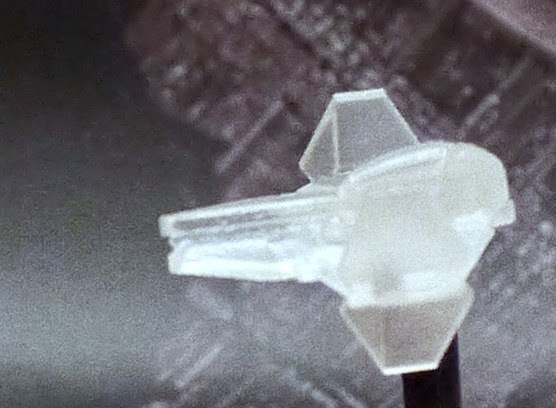 So basically it is a great way to get the basic shape of a model, but the level of details (the resolution so to speak) is not there yet compared to a plastic/resin model, even in the frosted ultra detail which is the best level of details you can get from Shapeways. However I bet it would be a great way to create a main body for detailing in order to create a master for casting. 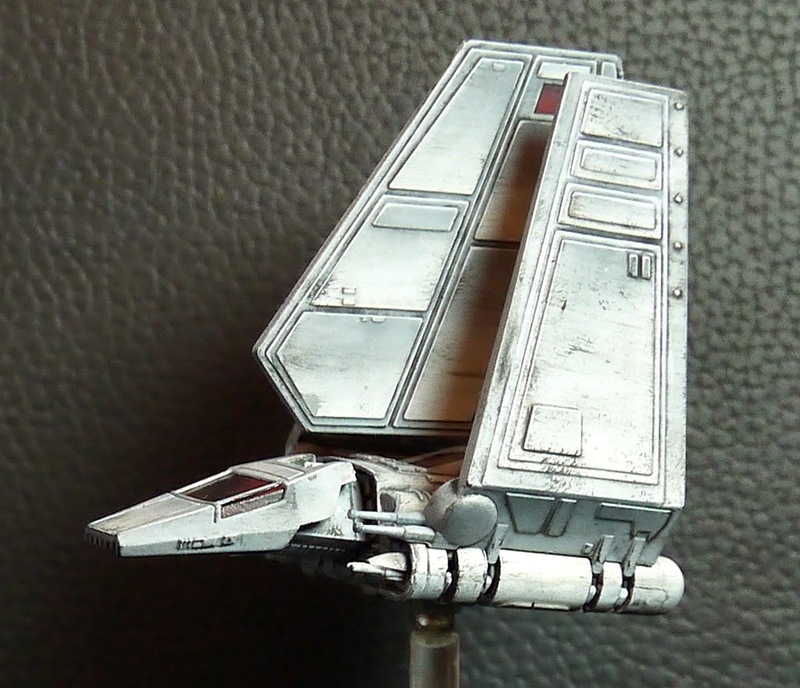 As is you can get great results with a bit of work, but as you can see most of the details on the model where free handed and that's not everyone cup of tea. So what I told you was true. From a certain point of view. 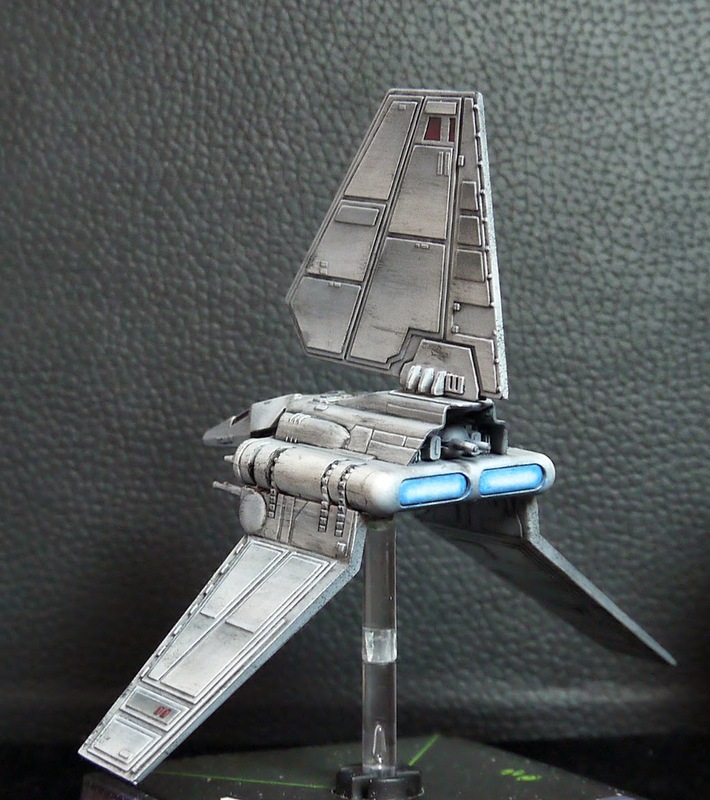 Following Obiwan craft, I painted Anakin ETA-2 interceptor from Revenge of the Sith. It sports as expected R2D2 in the droid slot. 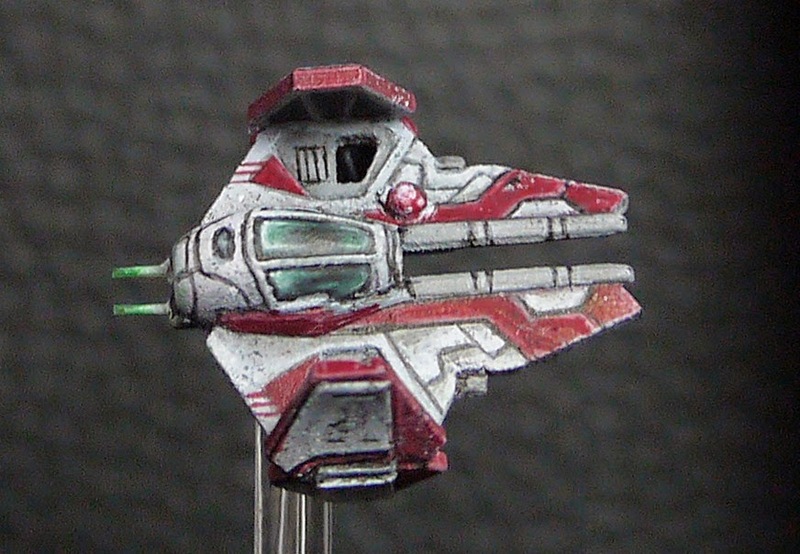 As the close ups of Obiwan fighter revealed a grain texture to some panels, I tried to weather the craft differently to hide/decrease the apparent roughness.